Well, Mel Gibson knuckled under. At least somewhat. Easy for me to be brave about Gibson’s movie, obviously, and for all I know these changes might be for the better. But I can’t say I’m not disappointed. This is starting to resemble (in a much lower-stakes field, it cannot be said often enough) some Union of Soviet Cinematographers self-criticism sessions for artists whose work was considered “bourgeois formalism” or whatever made Stalin’s colon clench that week. Say what? I suppose if Gibson got a papal imprimatur for his 32-part TV adaptation of THE PROTOCOLS OF THE ELDERS OF ZION for family Ramadan hour, there’d be a problem. But a Gospel film made by a Catholic artist in dubious communion with the Vatican and over which the church has no more control than it does over THE MATRIX movies — that can have THAT much of an effect? I hope that’s not true, but if it is true, then let’s just pack in interreligious dialogue and go home. Those “decades of progress between Christians and Jews” then would have produced nothing of value if it’s so superficial and fragile as to be threatened by THE PASSION. Anyway, even if Gibson makes no further cuts and the film plays to a firestorm of anti-Semitism charges next spring (that will happen unless the ADL gets final-cut approval — mark my words), the chill will be felt down the line. 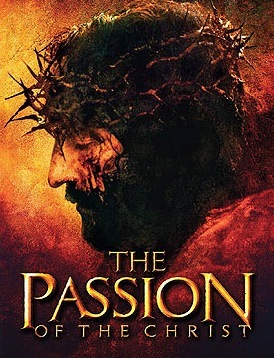 If one of the most famous stars in the world gets this much grief trying to self-finance and self-distribute a Christ movie without the approval of Jewish pressure groups, what’s a mere studio owned by a conglomerate with 30 other boycottworthy irons in the fire to do? Even if the Jewish groups lose, they win, because the cultural word is out: no more Jesus movies henceforth without the imprimatur of organized Jewry.